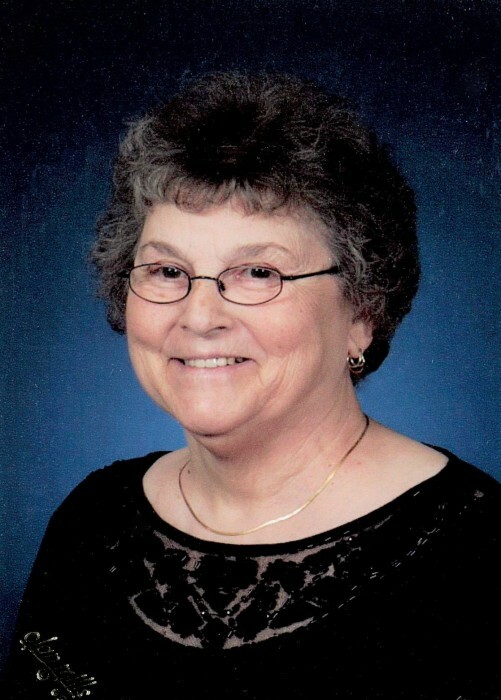 Adeline Ruth Peterson, Minong, WI passed away on January 22, 2019 at the age of 83. Adeline was born June 4, 1935 in Lampson, WI to George and Charlotte (Featherly) McDowell. She is survived by four daughters; Sandy Peterson, Patti Peterson, Robin (Floyd) Nelson, Melissa (Kevin) Hadler, seventeen grandchildren, twenty-one great grandchildren, and three sisters. She was preceded in death by her husband Ellsworth, son Richard, three brothers and one sister. Adeline enjoyed knitting, crocheting, sewing and bowling. She most enjoyed time spent with her family. A memorial service was held on January 26, 2019 at The River Church, Minong WI. She will be laid to rest next to her husband and son in Greenwood Cemetery, Minong, WI.